This popular resort is perfectly placed at the northern end of Lake Garda, offering beautiful views of the tree covered mountains on either side as you look south across the water. Enjoy your days here in the peace and tranquility at the foot of the mountains visiting the attractions and taking part in the activities found nearby. There are plenty of restaurants to visit for those romantic evening meals and a number of shops where you can pick up those all-important souvenirs to remember your trip by. You will even get the chance to soak up some of the summer sun on a lakeside beach! Visit the medieval fortress Rocca, cross the drawbridge and discover the museum that can be found inside. After learning about the ancient artifacts, climb the steps to the Torre Apponale, the town’s bell tower to get amazing views. Experience even more beautiful views by visiting the Bastione, which sits on the wooded hillside next to the town and houses a museum and restaurant. After you’ve explored the town why not explore the lake by hiring a boat or simply enjoy the water by trying wind surfing, one of the resorts most popular sports. Bicycle hire is also available if you would prefer to stay out of the water and don’t forget to sample the many restaurants where you can try some traditional Italian dishes. If you visit over the summer you can look forward to impressive average temperatures of around 29 degrees Celsius, which are perfect when enjoying some time relaxing on the beach, exploring the town or hiking through the surrounding forest. Inside the Fortress Rocca is where you will find the town’s Civic Museum, which houses some truly fascinating exhibits. These include a collection of artifacts outlining the cultural heritage of the town and surrounding area. You will also find numerous paintings, some by the popular local painter Joseph Craffonara. There are also numerous art events and special exhibitions throughout the year and guest pieces are also available to see during your visit. The archaeological collection is most impressive, with pieces from the Roman period all the way up to the middle ages. Standing tall above the many other historic buildings in the town centre is the medieval belfry known as Torre Apponale. It has become a symbol of the historic side of town, as it is not only beautifully designed but simply too hard to miss! Standing proud at 34 metres the tower was built in the 13th century and was once connected to the Rocca via a subterranean passage. You can even climb the steps to the top where you will get excellent views over the town and lake. The remains of this impressive 16th century fortification can still be seen amongst the trees on the slope of Monte Rocchetta. It sits high above the town and was originally built as a means of protecting the town should the worst happen. Although partially ruined, the structure is still in use today but as a restaurant and museum – it’s military days are definitely over. You can reach it in about 30 minutes by taking a walk up the incline through the trees. It makes the perfect excuse for a walk and you will be rewarded with beautiful panoramic views over the town and across the lake. A mere 3km from the town centre is one of the most beautiful natural sights to be seen anywhere around the lake. Varone Falls or the Cave of the Waterfall as it is known, is a stunning waterfall with a height of nearly one hundred metres! It can be found within a cavern close to the town of Varone and thanks to the solid walkway, you can enter and get very close indeed. This magical attraction is open throughout the year and makes the perfect photo opportunity. The windy conditions caused by the tall mountains mixed with the stillness of the water, make the perfect environment for wind surfing. This popular sport is a great way to keep fit during your visit and if you don’t know how, why not learn something new while you’re away. The water is comfortably warm during the summer but also helps to keep you cool when the hot Italian sun starts to beat down. Boat hire Cruise along the beautifully still waters of Lake Garda and experience the unforgettable natural views of the mountainous shoreline from one of the best vantage points that simply can’t be reached on foot. Hire a motorboat from the town harbour and cruise at your own pace. The best thing about it is that you won’t have to worry about rough waters or heading out to sea, as the lake is safely enclosed. It’s a great way to spend a sunny afternoon and it’s ideal for families and anyone wanting to explore. With beautiful wooded hillsides and stunning valleys close by, you won’t be short of places to hike and walk, where you can enjoy the beautiful views along the way. The Old Ponale Road path is one of the most popular routes to take on foot if you wish to venture a little further out of town. From this elevated position you will get the chance to see some of the most amazing views in the area of both land and lake. The route once joined the town with the Ledro Valley, so you can be sure that there will be plenty to see during your travels. Cycling is another great way to see the surrounding area without having to walk it! The path along the edge of the lake is the perfect place for a cycle ride and if you don’t mind dealing with more challenging trails, head into the mountains and explore the paths leading through the trees. It’s also a great way to get around town quickly without having to spend time walking. If you fancy a day out during your stay in Riva, why not jump on one of the local ferries and enjoy a trip to the nearby resort of Limone on the western side of the lake a little further down or Malcesine on the eastern side. These excellent destinations are also popular tourist destinations and rightly so, as each of them have something special to offer. The ferry trips don’t take long and are reasonably cheap, so why not treat the family to a fun day out under the sun. You may not think it but you can have a very enjoyable beach holiday during your visit to Riva del Garda, as there is a long beach a short distance from the centre of town. Beaches along the edges of lakes are quite common but sand is not, so expect smooth pebbles covering the ground. The lack of sand is due to the lack of waves and strong currents, so the stones and pebbles haven’t been eroded. This is the perfect place to get away from town and start working on your suntan as you relax. It’s also a popular spot for windsurfers, as access to the water couldn’t be easier. If you decide to go for a swim, you will get to enjoy the surprisingly warm and clear water, which is conveniently shallow close to the shore, allowing kids to have a paddle. As one of the larger resorts on Lake Garda, Riva is one of the best places for nightlife due to its size and although you won’t find any super clubs nearby, it still offers a good selection of lively bars where even the most experienced club-goer can have a good time. Unlike most of the peaceful resorts around the lake, Riva doesn’t go to sleep when the sun goes down, quite the opposite in fact. The atmosphere becomes quite lively, as visitors and locals venture out to enjoy a summers evening socialising and having fun. Rivabar is a great place to spend the evening if you love great music, as there are music events throughout the week and sets from talented DJ’s. The modern interior is lit with coloured neon lights and the bar is stocked with many kinds of tasty cocktails that you won’t be able to resist sampling. It’s open from early evening until around 2am, so you won’t have to leave any time soon. There are plenty more low-key places around town where you can sit outside and enjoy your favourite drink. Bar Papagayo is one of these excellent bars, offering wines, cocktails and other refreshing beverages. It also offers a good menu, so why not grab a bite here before continuing your evening entertainment. As a thriving harbour town, you won’t have to look far from the waterside to the hillside for a quality restaurant with a superb menu. The main promenade in town has many options when it comes to eating out. Whether you’re in need of a quick snack in between activities or a three course evening meal, you will have plenty of choice. The Al Volt restaurant is the place to be if you want to dress up in your best clothes and sample some very interesting dishes. Here you will find dishes such as beef tartare with black truffle and cheese and puff pastry with strawberries and cream. If you would like something a bit simpler why not head over and enjoy some smoked pork dishes and freshly prepared pizza at Birreria Maffei, which offers some lovely outdoor seating. You will also have the opportunity to sample some fine Bavarian food at the Ristorante Kapuziner am See with dishes including goulash. For those who can’t resist a good Chinese, Ristorante Cinese Lago D’oro is the place to be. 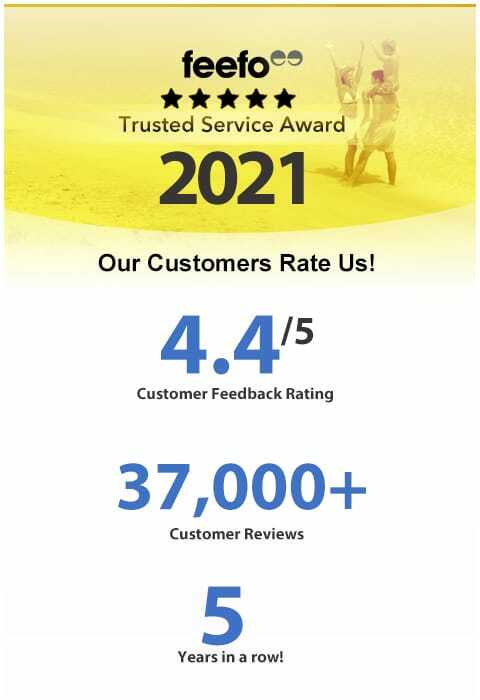 That’s just the beginning when it comes to restaurants, so look forward to excellent food and superb selection when you visit this popular town. 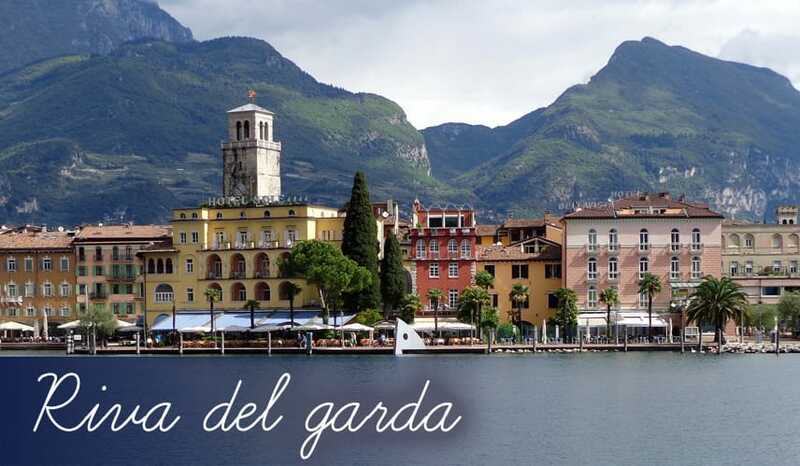 If one of your favourite holiday activities is shopping then choose Riva del Garda as your Lake Garda resort of choice, as it has one of the best selections of shops out of the nearby smaller resorts. To keep inline with the traditional Italian charm of the area, you won’t find any large shopping malls, which would definitely seem out of place but you will find a good selection of both traditional and modern shops. The Piazza III Novembre is a great place to start shopping, as it is lined with shops along with cafes and restaurants where you can sit for a while with a refreshing drink or boost your energy with one of the delicious meals ready for some serious shopping. You will find the locals very friendly and welcoming, so don’t hesitate to browse as much as you want and window-shop to your hearts content.